View Cart → "Sharpening Wheel" was successfully added to your cart. 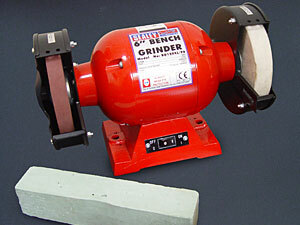 Bench grinder, perfect for sharpening hoof knives. Sealey 6″ Bench Grinder with sharpening wheel, sharpening disc buffer and buffing paste included.